Former Arizona Sheriff Joe Arpaio, who was found guilty in late July of contempt of court after failing to stop racial profiling practices, said he would accept a pardon from President Donald Trump. 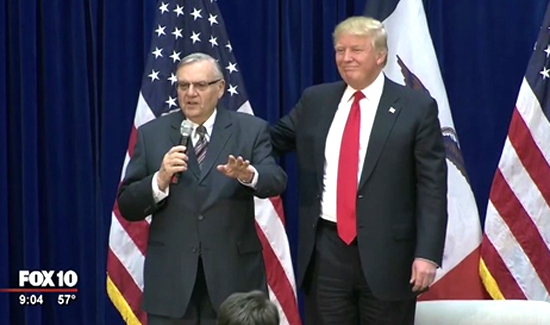 Arpaio, who served as Maricopa County’s sheriff for more than two decades, is a Trump supporter and spoke at the then-nominee’s events last year. Arpaio, however, is not sure whether the president is aware of his current legal situation. The White House has not mentioned Arpaio’s case since Trump took office. The 85-year-old faces up to six months behind bars.